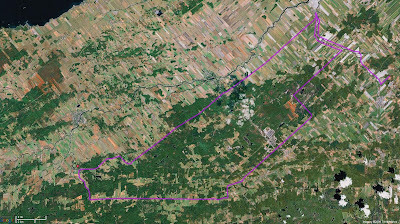 Another near perfect chateauguay valley ride? Yipper. We had not used Howick as a starting point before, but we wanted the extra 20 km to the ride that this would give us. It worked great! The roads we took were generally excellent (a couple of small exceptions). The ride would be better with Powerscourt as the turn-around point, but today's version had almost all the ingredients of a great ride. We mapped the route to Powerscourt as being an extra 11 km to the total ride distance. 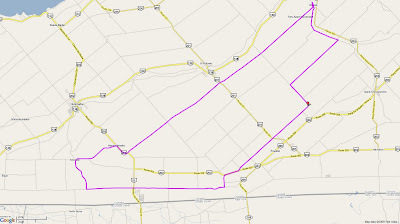 Not much and this would avoid the bad conditions of Rt 202 between 1st concession and Gore road of today's ride. We mapped both rides on Bikely, but we think the original 80 km Howick to Powerscourt is the best version if you want to try it. Today's ride had some extra spice: big winds!